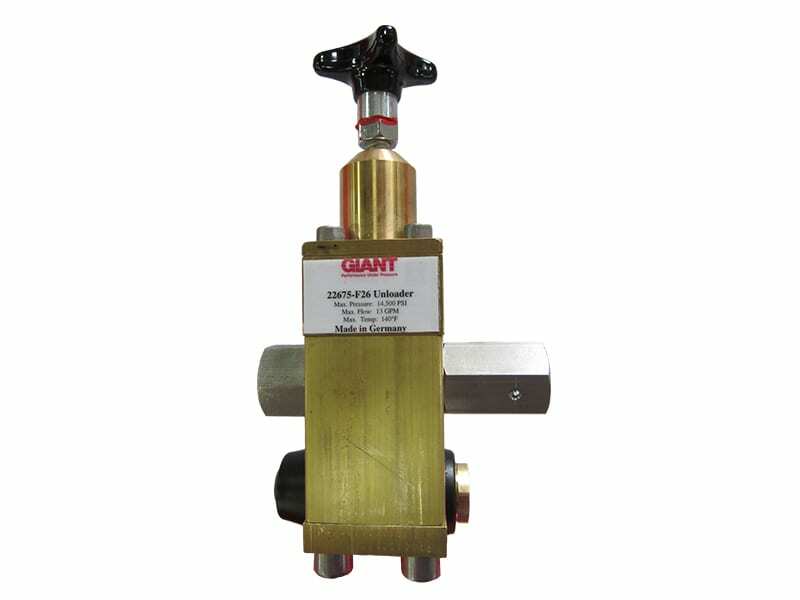 These are flow-actuated valves which control the flow of the water to the nozzle(s). During bypass mode, all of the water is directed back to the supply. 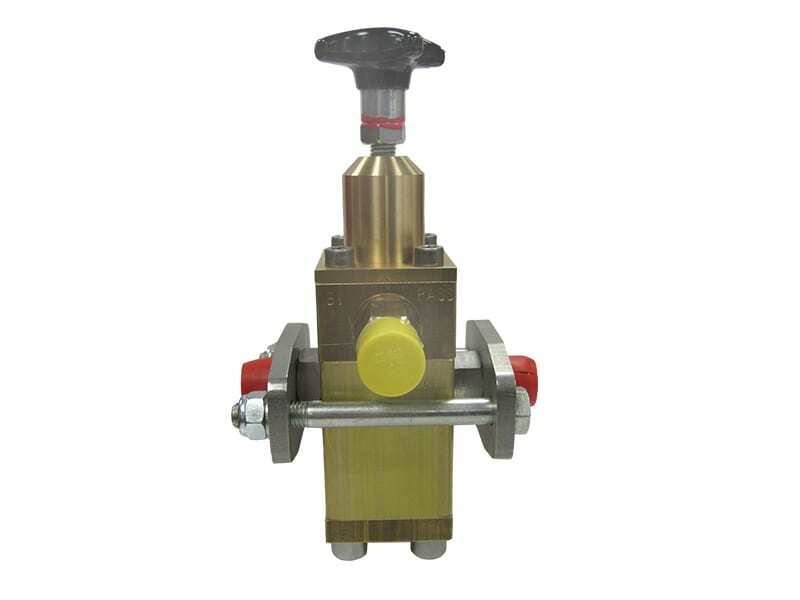 Since the pressure is relieved in the discharge line, high-pressure fluid is not trapped in the discharge portion of the system. 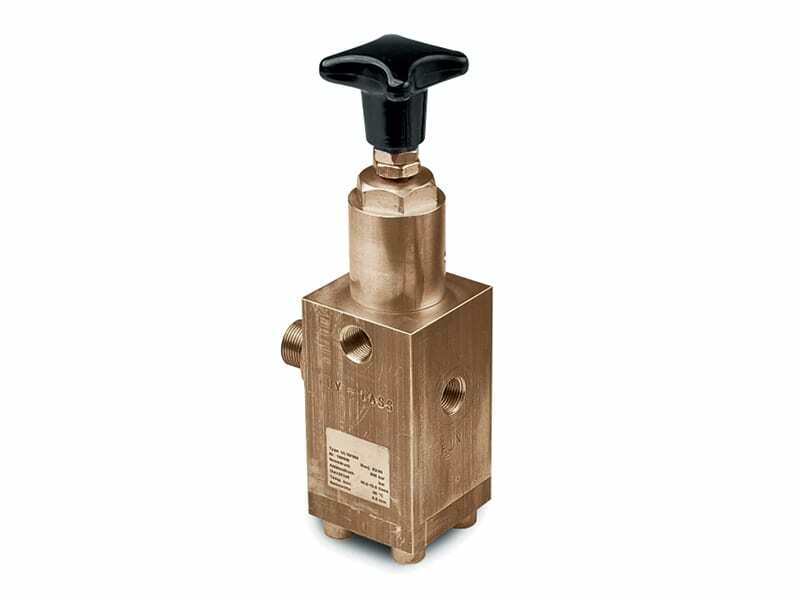 The great advantage of this is that it is easier to start up the system again and provide additional safety because an operator does not feel the “kick” when a gun is engaged as the pressure develops in a few seconds (as opposed to immediately with a pressure-actuated valve). 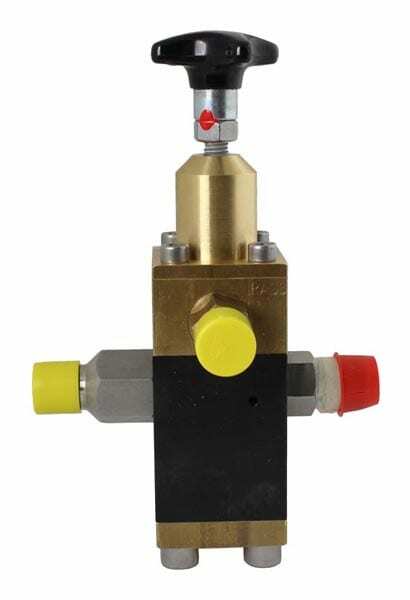 This valve is typically used for applications which require frequent on/off action, such as pressure washers. They are not designed for multi-gun operations. 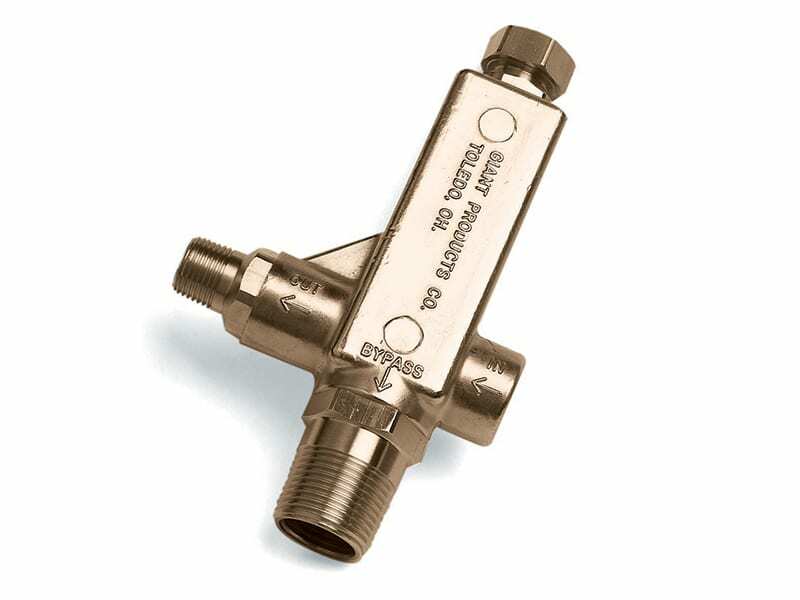 Flow ranges are from 1.5 GPM (5.7 l/min) to 13 GPM (49 L/min) and pressure range is from 0 PSI to 15,000 PSI (to 1000 Bar). Metal materials are forged brass and stainless steel and elastomers will be either Nitrile or Viton.